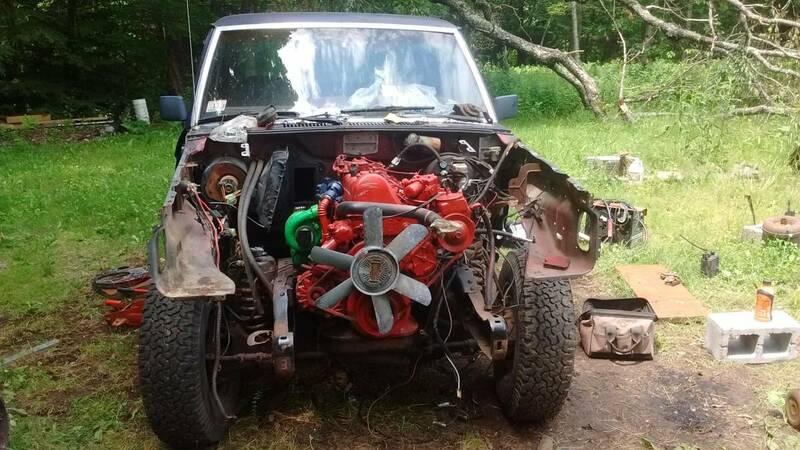 Remember that Toyota 22R powered Mercedes-Benz 240D that we posted the other day...that was a strange car...really weird, but I think we've discovered where the engine from the Merc ended up...but for the universe not to end in a divide by zero error, there has to be a Toyota pickup with a Ford engine for sale...anyways find this 1986 Ford Ranger XLT offered for $2500 in Hadley, MA via craigslist. From Cory. I'm probably forgetting some things but those are the big ones. To make it street legal you need a bed (I was going to run it as a flat bed), you need to mount the brake lights, install the rear driveshaft, finish the wiring so the windows go up and down, mount the boost/temp/oil pressure gauge panel, possibly notch the oil pan for clearance or lift the truck, finish welding the exhaust, wire in the alternator. Got 99 problems but a engine ain't one. You know your position is weak when one of your ad pictures is of someone hauling your ride around on a lowboy. 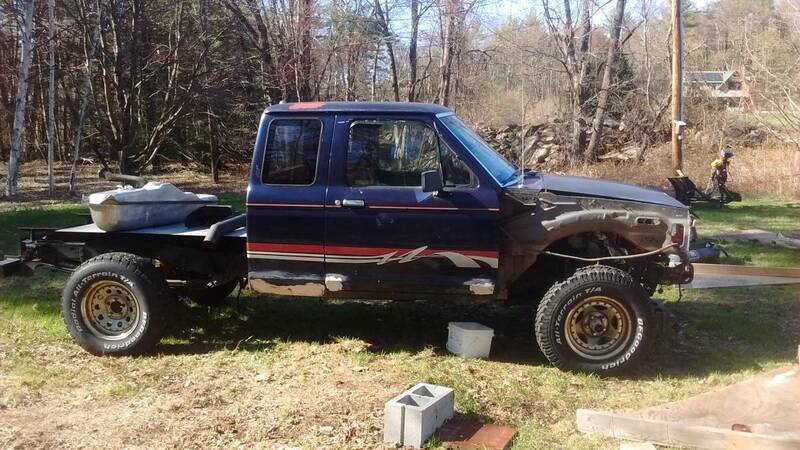 My Buddy ordered a new Ranger i called it Danger to piss him off ! I bought this thing... paid considerably less than the listed price but the it is a total re-do. Header wrap... sure... secured with plastic zip-ties. Also, all the wiring in one color is not ideal. With that being said it has been an entertaining, and time consuming, puzzle.